Reader's room: Car? Park it outside! Introduce yourself... I'm John Johnston, aged 33, and I'm a professional photographer. Long-term readers may recognise this cinema room. First featured back in HCC #182 in April 2010, it's the pride and joy of 43-year-old movie fan, Chris England. Yet since its debut, the room has undergone some changes, with a plethora of new hardware and the addition of a projection system. Chris got back in touch, eager to share the joys of his new second-generation setup. 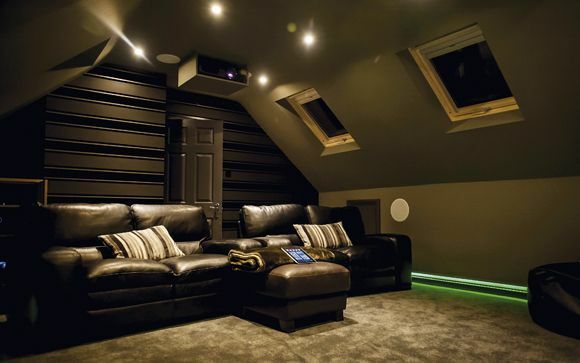 HCC reader Jag Phull is the proud owner of this stunning cinema room... at the bottom of his garden. How did achieve his high-end dream? With a lot of hard graft, a lengthy build process and a few upgrades along the way. The owner of this impressive loft-conversion remembers clearly the moment when he saw another dedicated attic install and thought ‘I want one!’. Yet, unlike many of us, this wasn’t a mere dream – within a few weeks the process of turning an almost unused space into home cinema heaven was under way.